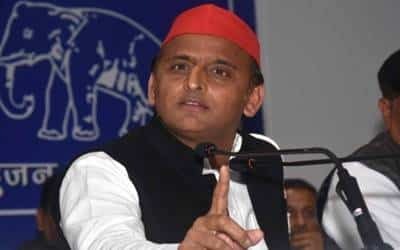 Lucknow, March 22 (IANS) Samajwadi Party chief Akhilesh Yadav on Friday told the Modi government not to pretend to be the Indian Army and said that governments which say they can’t be questioned are dangerous. Modi’s statement came in response to Congress President Rahul Gandhi’s chief advisor Sam Pitroda’s remarks that incidents like the Pulwama terror attack "happen all the time" and that the United Progressive Alliance government also could have sent planes across the border after the 2008 Mumbai terror attack but "that is not the right approach". "Loyal courtier of Congress’ royal dynasty admits what the nation already knew — Congress was unwilling to respond to forces of terror. This is a New India — we will answer terrorists in a language they understand and with interest," Modi tweeted.